Summer is a blessing and a curse; the warm weather and fresh air feels wonderful after a long winter, but warmer temps means less clothing, and beach days means almost no clothing. And if you, like 80% of women around the world, have stretch marks, then you’re probably dreading exposing your bare skin to the world. Behold: stretch mark removal tips! 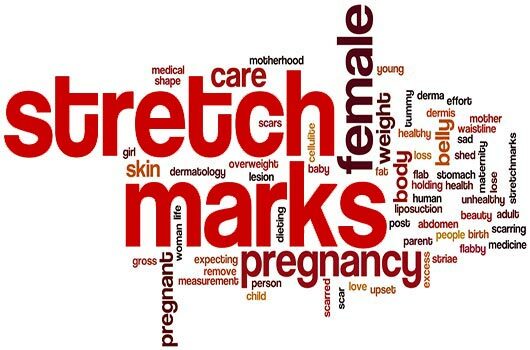 Stretch marks are incredibly normal, and can be caused by a number of bodily changes and experiences; these marks (which begin as red, pink or purple streaks and then turn to white or gray lines) are often the result of your skin literally stretching. Which, as The Mayo Clinic reports, is why they are very common during pregnancy, or as the result of drastic weight gain or loss. In addition, genetics definitely play a part in determining if you will get stretch marks in your lifetime. Sorry ladies (and men), if your mom had these marks you will most likely get them as well. But if you’re asking how to get rid of stretch marks, we got you covered! It can be easy to tell you to wear your stretch marks with pride. If they are the outcome of a pregnancy, then they are your war wounds to document your experience of becoming a mother. If they are because you lost a lot of weight, then they are your scars proving that you are determined to take care of your body. Sure, this may all be true, but stretch marks can also be embarrassing, and at the end of the day, you need to feel comfortable in your own skin; and if you want that skin to be stretch-mark free, there are some solutions to help you. First, let’s start with the least intense and non-invasive options. There are several home remedies you can try to lessen the appearance of your stretch marks. While these are not cures (there is no true cure for stretch marks), they can certainly make you feel better about the way your skin looks. Castor oil—a common treatment for skin problems ranging from acne to age spots—can help when massaged into the affected skin areas. 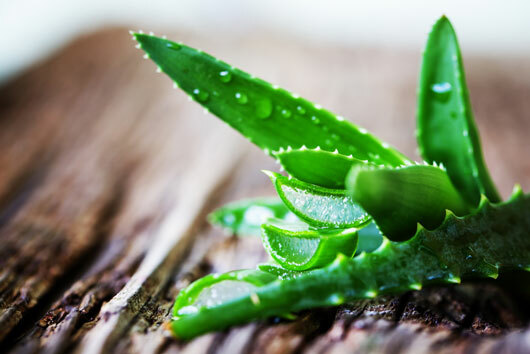 Aloe Vera also has soothing properties that can help stretched skin heal and return to its original appearance. Egg whites (yes, egg whites, as in the white part of an actual raw egg) contain protein and amino acids, which can also help skin heal when applied topically. If you want to go the store-bought route, there are tons of products on the market that claim to help minimize the appearance of stretch marks. Moisturizers with cocoa butter are beneficial both before and after the stretch marks occur. If you are pregnant and you want to avoid developing any marks as your belly gets bigger, you can try products that help increase your skin’s elasticity as you grow, so that you’re more likely to bounce back to shape without any marks. While creams can work, several dermatologists and aestheticians argue that the most important factor isn’t what you use, but how you use it. New York City aesthetician, Cecelia Wong, suggests, “using natural oils to massage the skin…will strengthen and nourish the skin while promoting circulation.” And as with any products or beauty practices you use while pregnant, always check with your doctor before you do anything. Whatever treatment option you choose for stretch mark removal, remember that currently it isn’t possible to completely get rid of them. Your goal, and the goal of these products and procedures, is to make your stretch marks less noticeable so that you can feel more confident about your skin. And if all else fails, wear your marks with pride—they are a part of who you are and what you have been through, and the people who love you will love you no matter what is happening on your skin.